The European Broadcasting Union (EBU) is an alliance of public service media (PSM). EBU represents 119 member organizations in 56 countries in Europe, and an additional 33 Associates in Asia, Africa, Australia and America. Operating over 2,000 television, radio and online channels and services, EBU offers a wealth of content across other platforms. Together they reach an audience of more than one billion people around the world, broadcasting in more than 160 languages. 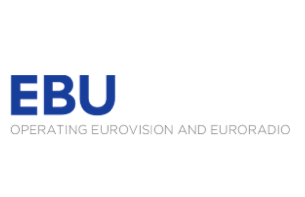 The EBU operates Eurovision and Euroradio services. The EBU is devoted to making public service media indispensable. They do so by supporting and strengthening public service media, providing first-class media services and offering their members a centre for learning and sharing.